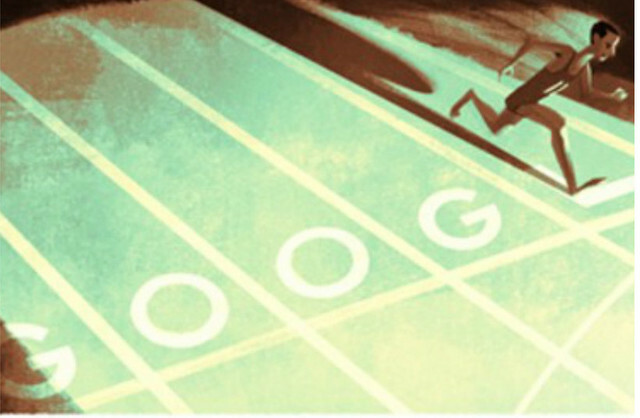 New York (TADIAS) – Athletic legend Abebe Bikila was honored on Wednesday with an artistic version of the Google logo. The double Olympic marathon champion who is most remembered for winning a gold medal at the 1960 Rome Olympics while running barefoot was featured with the Google Doodle on August 7th, 2013 on what would have been his 81st birthday. “I wanted the whole world to know that my country, Ethiopia, has always won with determination and heroism,” Abebe is famously quoted as saying shortly following his memorable victory in Rome. Abebe Bikila died on October 25, 1973 at the age of 41. He remains a national Ethiopian hero and an international sports legend.